Editor’s note: the author, Jessy Burcaw, is a 24 year-old young adult member of Unity Moravian Church in Lewisville, NC. These days a lot of people are talking about young adults in church–how to get them there, how to keep them, and how to get them involved. Here are four tips that might be helpful as your church thinks about engaging young adults. Well-meaning people have suggested that I need to bring my friends to church or have implied it’s my responsibility to fix the “young adult problem.” This logic has a few flaws. Most of my friends are Moravian and already belong to a church. My non-Moravian friends either have their own church to attend or are not interested in church. So if young adults don’t bring in more young adults what do we do? Listen to the young adults you do have. Realize it may not be a Sunday School class they want. You may have to try some new things and get out of your comfort zone a bit as a church. Young adults are happy to help but it’s not our job to fix the young adult problem just because we are young adults. Often times when young adults come home from college and want to be involved in church, people assume they want to work with kids or youth. In my case, as a teacher, the last thing I want to spend my Sunday doing is working with kids. After a long week working with children, I want a break from them. Yes, it is true that many young adults do enjoy working with youth or children but keep in mind we are all different. Millennials are not all the same! We have many gifts and talents that can be put to good use in church. For some it might be playing handbells or singing in the choir. Others might want to get involved with building and grounds and help take care of the church building. Others will organize outreach and mission. Take the time to get to know us and to understand what gifts and talents we might be willing to share. Not only will it make us feel more welcome, it will also make a better church! Many young adults grew up in the church we attend now. That means people remember us when we were children running around after church or when we were teenagers acting cooler than the flip side of a pillow. It also means people sometimes forget we are no longer those 16-year-olds in church because our parents made us come. We are now coming to church because it is a place we want to be. We want to make a meaningful contribution to our church family, but it is a two-way street. Churches are going to have to not just create space for us, but proactively invite us to get involved in meaningful ways. This means people who’ve been in leadership for years might have to move over and let young adults help, which might mean changing “the way we’ve always done it.” Young adults don’t need to run everything, but one day we will be the ones making the decisions. Why not start training us now, let us in on some decision-making, or at least listen to our voices? It’s time to start being intentional about sharing responsibilities with young adults who want to be involved. Just because I am not in church every Sunday doesn’t mean I don’t want to be involved anymore. A lot of my friends don’t go to church every Sunday, but they still want to be involved too. Many of us (not all) get more out of mission work and putting our faith into action than we do sitting in church on Sunday morning. Now don’t get me wrong–I enjoy very much going to church and listening to my pastor, but that’s not always enough. I don’t need to sit in church every Sunday to feel close to God. Sometimes I feel closer when I am on the mountaintop at Laurel Ridge singing camp songs, or sitting by the river writing in my journal. The place I felt God’s presence the most wasn’t a church; it was when I sat on the floor of a school in Nepal listening to a child read to me. For many young adults, church isn’t about being in one place to worship or listen to God’s word. Church is walking in the Suicide Prevention and Awareness Walk; church is going to Nepal to teach; church is helping with hurricane relief; church is so much more than a building. So just because you don’t see us in worship doesn’t mean we are never coming back. It just means we are out in the world putting our faith into action. Young adults do not just represent the future of the church–we are the church right now! Please continue to encourage us, love us, and make space for us as we embrace both old and new ways to follow Jesus in the world. Jessy is a lifelong member of Unity Moravian. She grew up in Winston-Salem and attended Appalachian State University to study Elementary Education. Now she is a 2nd grade teacher in Winston-Salem. She is a proud mother of her fur-baby, Olive. Jessy has a passion for mission work and spent her summer in Kathmandu, Nepal working in a school. She plans to return this summer again to continue working with the school. Want to republish this post? Most of our writers are volunteers who retain the copyright of their text. Reach out to the author, or we can put them in touch with you. See email address for the Moravian BCM below. 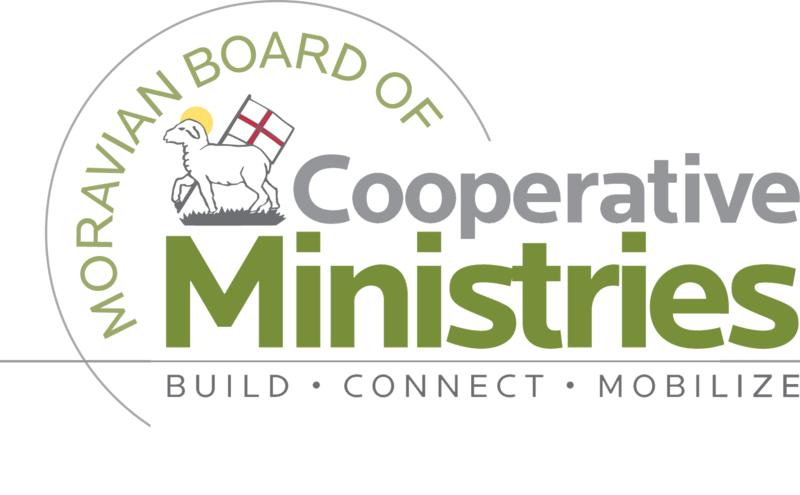 Images used in our blog posts are a mix of the BCM’s images, Creative Commons images, public domain images, or other images the Moravian BCM has permission to use. Some images you may need additional permission to include in your republishing. Where credits have been noted, we ask that you credit image creators the same way we have. Questions? Email us! It’s the most performed piece of classical music in the world: George Frederick Handel’s famous oratorio Messiah. Almost a Cliff’s Notes of the Bible, the piece tells the story, in orchestral and vocal form, of Jesus Christ’s birth, death and resurrection. Composed in 1741 and almost immediately a hit, the piece has never gone out of style: in 2010, according to the web site Classical Net, there were enough productions of Messiah worldwide to hold two a day, nearly every day of the year. That’s more than twice as many as the next-closest competitor, Beethoven’s Symphony No. 5. Although Handel didn’t envision Messiah as a Christmas work–he actually wrote it for Easter–most of these performances will be compressed into this very season: the weeks between the November 1 and December 25. And she wasn’t alone; the members of the chorus were as diverse as a group could be, with black people, white people, men and women, students, parents, grandparents. All could agree on the joy of being a part of the stirring performance–the club’s 80th, no less. At this time of year, as musicians everywhere start their seasonal rehearsals, the question arises: What is it about the Messiah, or about spiritual music in general, that has such power to move us and draw us back, a cross-section of humanity, again and again? Is it its familiarity? Is it the tradition? Literally meaning “the collective hymns of a specific religion, place or period,” hymnody more broadly refers to the shared musical experiences of a community of people, singing commonly known, ecclesiastically-based music. Amazing Grace. Be Thou My Vision. Silent Night. Even the Messiah’s famous Hallelujah chorus. Sacred music is not the only music that can draw people together as a community. Rock, jazz, pop, and country songs can all do it. The difference, according to Eads, is that rock or jazz or country songs are usually based on emotion, and they speak to one individual, or to a group of people that can identify with the emotion that the songwriter is conveying. “The composer has said, ‘How do I personally feel today?’ and whatever one group of people may be going through enables them to relate to the song equally emotionally,” Eads says. For a piece to have hymnody, it has to affect us in, literally, more ways than one. “There’s a collective consciousness that sets hymns and pieces of sacred music apart. They are based on group knowledge; they are emotionally transcendent. They have an ecclesiastical embodiment. And they are able to reach most of us psychologically, wherever we are. They are bio-psycho-socio-spiritual. They speak to us on all four levels. As instruments tune, choirs assemble and the season to sing out gets under way, people everywhere can know again the power of a shared, sacred musical experience, whether or not they are Moravian–“The singin’-est people I’ve ever met,” declared a friend after attending a lovefeast for the first time. Farrell, Michael. Blake and the Moravians. Palgrave MacMillan, 2014. Schonberg, Harold. The Lives of the Great Composers. W.W. Norton and Company, 1997. This week Moravians around the world celebrate one of the things that makes us unique–our understanding of Jesus Christ as the Chief Elder of the Moravian Church. At a Synod in London in 1741, the Moravian leaders struggled to elect a new Chief Elder. The office had been vacated when Leonard Dober decided that, after having served as Chief Elder for six years, the job had become too much for one person. On September 14, 1741, Jesus Christ was officially named Chief Elder of the Moravian Church. Being in the days before email, text messages, and cellphones, it was decided that time was needed to spread the news around the Moravian world. November 13 was chosen as the day for all Moravians to celebrate the selection of Christ as Chief Elder. Even now, over 275 years later, many congregations will celebrate Christ as Chief Elder with Holy Communion and/or a lovefeast on the Sunday closest to November 13. For me, having been born and raised in the Moravian church, I have always understood that Jesus is the head of our denomination. However, I’ve never really given it much thought, beyond knowing it as one of those things that makes the Moravian church different from other denominations. But is it something that is still relevant to the Moravian church in 2017? And what does it really mean to claim Christ as Chief Elder? It is clear from this that the Moravian church continues to recognize Jesus as the head of the church and, beyond celebrating it as something from our history with little contemporary relevance, considers it to be an important doctrine. In other words, it is not just something that our Moravian ancestors believed and we remember, but it is also the belief of the Moravian Church today. The language used may be a bit different, as the Ground of the Unity uses the phrase “Head of the Church” as opposed to Chief Elder, but the idea is the same. It’s important that we understand that Jesus has been and is the head of the Moravian Church. But it is even more important that we understand what it means to recognize Christ as our Chief Elder. First it means that we look to Jesus for guidance, counsel, inspiration, and direction in ALL that we do. We rely on his leadership to help our church to be a reflection of his light in a dark world, we rely on his guidance to allow our lives to be a source of his love in a world filled with hate. Jesus has been here, he has done what we are called to do. He knows how to lead us and guide us to be the people he has created us to be and to be the church that he calls us to be. He knows the challenges that we face and he can help us to overcome them and share his light and his love. That is what it really means to claim Christ as our Chief Elder. It means that we are following the lead of someone who knows the way. On this day, as we celebrate our Chief Elder, as we remember how he loves us and gave his life for us, let us reclaim him as our Chief Elder, as Chief Elder of our church and of our lives. Let us follow him out of the dark and into the light. Let him lead us into love that overcomes hate. Faith is an active verb. Taking faithful action, by asking, searching, knocking on the door, co-creates a result that is linked with God’s answer of giving, finding, and the door opening for us. But in between those paired actions and responses something else, something important, is going on that encourages that co-creative relationship with God that builds a faithful, fruitful life of discipleship. What is this special something? It is the recognition that to move forward we first must trust God’s power in us. If you know how to drive stick shift cars, you know this lesson. While recently preparing to teach a class on communication as spiritual practice, I remembered a rerun of an Army Wives episode. The family tradition between mother and daughter in this program is to pass on the legacy of being able to shift like a trucker in less than a day. Daughter is skeptical, mom is persistent. Before getting in the car, mom shares that the clutch is about trust, the accelerator about power. As her hands make the familiar foot movements, she explains that to move forward you have to trust. She then draws her daughter’s hands into her own, lifting them to join in the fluid motions of trust supporting power. And, indeed, the daughter was shifting like a trucker before they sat down to dinner that evening. Faith is so very much about that willingness to take action, trusting that God’s power will guide us to seeing the next moment of truth, be it the giving, the finding or the door opening. Faith is an ongoing series of asking, seeking, knocking, sometimes constant, always consistently showing God’s action and willing support for us to live abundantly. It is about acknowledging, with deep, abiding gratitude, what God has already entrusted to us by virtue of God’s power in us. In you, and in me. My thought is that most of us are willing to take that first step; and we are delighted when it is clear that God has heard and answered us in a way we understand. Faith becomes daunting if we get stuck in the fear of what comes next. False modesty doesn’t create the kind of results God has been credited with through generations of women and men who have used their faith to create lasting change, community and hope in the world. God loves to work through people. But do we love God working through us? William Sloane Coffin once wrote that faithfulness is more demanding than success. It is. Rather than being defined as a reachable goal, faith is more akin to a lifestyle choice, a way of being and becoming. And I believe that is the absolute best part of actively living faith as a verb. Choosing faith means you and I are always standing in trust and power. Reminding ourselves of that makes it a whole lot easier to harmonize our choices and our actions with God’s choices and actions on our behalf. Knowing that, believing that, acting from that, means we are less likely to allow doubt or fear to keep us stuck in first gear. There is nothing wrong with being in first gear; sometimes that is simply where we are, and God is with us there too. But it is really satisfying to get the harmony and rhythm of trusting, of letting that trust in yourself and God support your next step forward. And the one after that. And the one after that. Want to republish this post? Reach out to the author, or we can put them in touch with you. 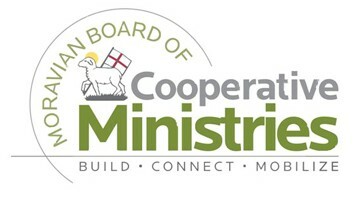 See email address for the Moravian BCM below.